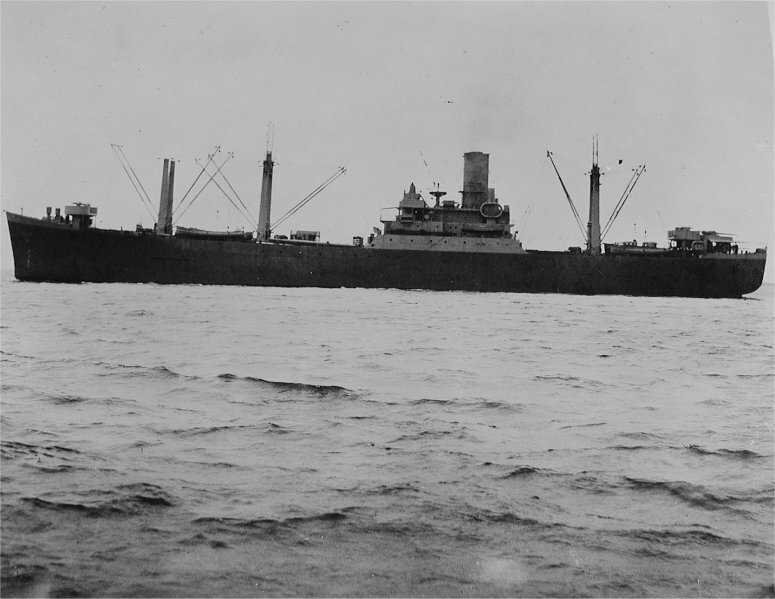 Laid down, 26 May 1939. as SS Comet, a Maritime Commission type (C2-Cargo) hull under Maritime Commission contract (MC hull 33) at Federal Shipbuilding and Dry Dock Co., Kearny, N.J. Converted to a General Stores Issue Ship at Brewers Shipbuilding and Dry Dock Co., Hoboken, N.J.
two turbo-drive 250Kw 120V/240V D.C.
one Diesel-drive 80Kw 120V/240V D.C.
73k USS Pollux (AKS-2) under way, 26 May 1941, after initial conversion at Brewer Shipbuilding and Drydock Co, Staten Island. 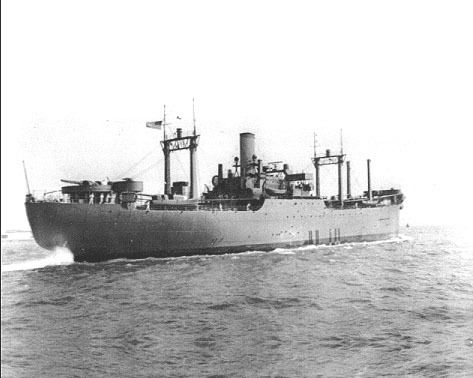 73k USS Pollux (AKS-2) under way off Boston Navy Yard, 10 October 1941. 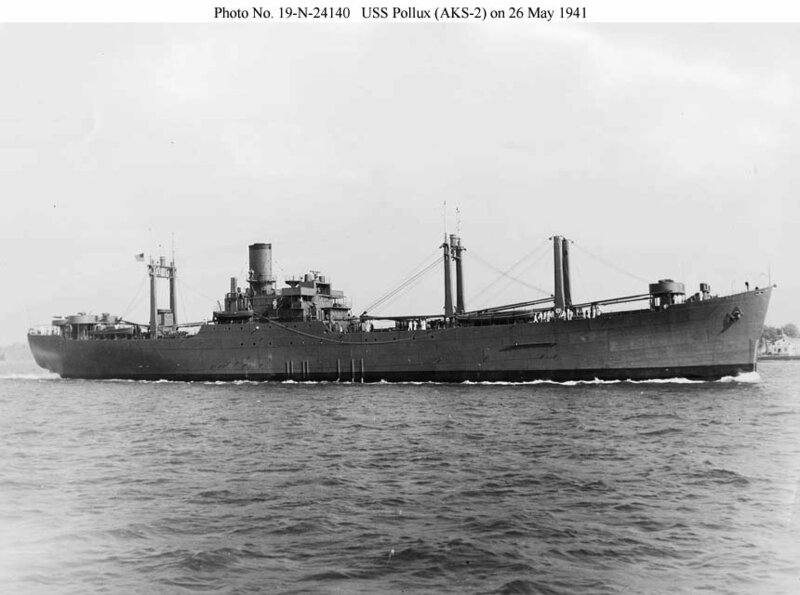 46k USS Pollux (AKS-2) under way, date and location unknown. 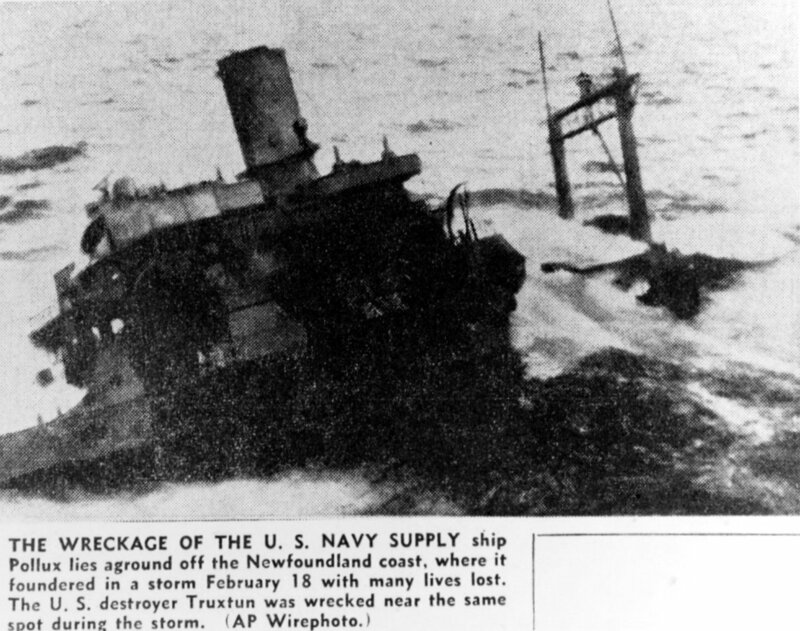 272k USS Pollux (AKS-2) wrecked on the Newfoundland coast at Laun's Point, St. Lawrence harbor, where she went aground, 18 February 1942.